And The Nominees Are… – Flawed, Cracked… But Rare! Between my spewing out all that comes in to my head on to this blog and my rants… and the occasional tribute to a loved one… I really didn’t find time to go through the plethora of interesting blogs online. Being a girl / woman with a topsy-turvy, cocktail of emotions bottled up in me… I tend to get drawn to humor in things I read… satire and sarcasm do well with me… ‘coz I can relate to it. My blog is nothing special. Started out in 2006 and as can be seen from the number of posts put up then… the year 2009 is missing even… one can gauge the interest I had in updating this blog. It started just a couple of months back… this prolific posting… a new dimension was added to my life which provided the inspiration and sometimes even the direct cause for a post to be put up. 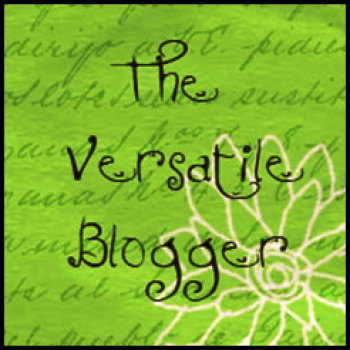 Today morning, I was pleasantly surprised to find Debajyoti Ghosh had nominated me for the Versatile Blogger Award. Though, I am not sure about the significance of it, I am still flattered that someone who can write like him reads my blog and actually finds it interesting enough to nominate it for an award. Thanks, Debajyoti! The nomination got me thinking… there are some really rocking bloggers out there whose posts I have enjoyed a lot. Maybe this would be that opportunity where I could list them and thank them for providing at times fodder for argument and at times matter to stimulate the grey cells and at times something to laugh about or cry to…. Or sometimes just to say wah wah! Now, I’ll get to the ‘Wall of Fame’. The list is alphabetical except the first entry… that is ‘coz the blog is special to me and the blogger is the new dimension that livened up my otherwise dull life. Some of the blogs are listed by the blog’s name or their online identities. Also, some of them have more than one blog. Barring a few, these blogs are all new finds… Indiblogger is to be thanked for me being introduced to quite a few of them. I read these blogs whenever I can… sometimes pulling out archived posts and reading them. Also, the list is not limited to Indian bloggers… example Cakewrecks… a blog I diligently follow and laugh my head off. Then there are blogs like Nawaab Saheb’s blog… where in the midst of poetry and politics, movies and music, rants and reviews… a relationship bloomed. I design… everything from business cards to houses. I always act on impulse. I stand for hours, in my 19th floor balcony… challenging destiny… with the wind chilling my bones. Again, thanks to Debajyoti… I actually caught up on reading more of the blogs this way. Seriously, I hope you all don’t actually see through all this and realize how wella (jobless) I am! I got here through Deb. And looks like you nominated me too. 😀 Looking forward to catching up on your posts. @Deepak: You are welcome… and you have some really cool & fun posts. Some stand out in their simplicity and make them really worth reading. @Purnima: Thanks 🙂 I really like your blog… quite a variety… restaurant reviews to love to gaming info… Cool! I haven't really been into blogging until very recently (don't go by the year I started the blog… just a fad). 🙂 Your blog is fun to read… and that makes it worthy of a nomination.